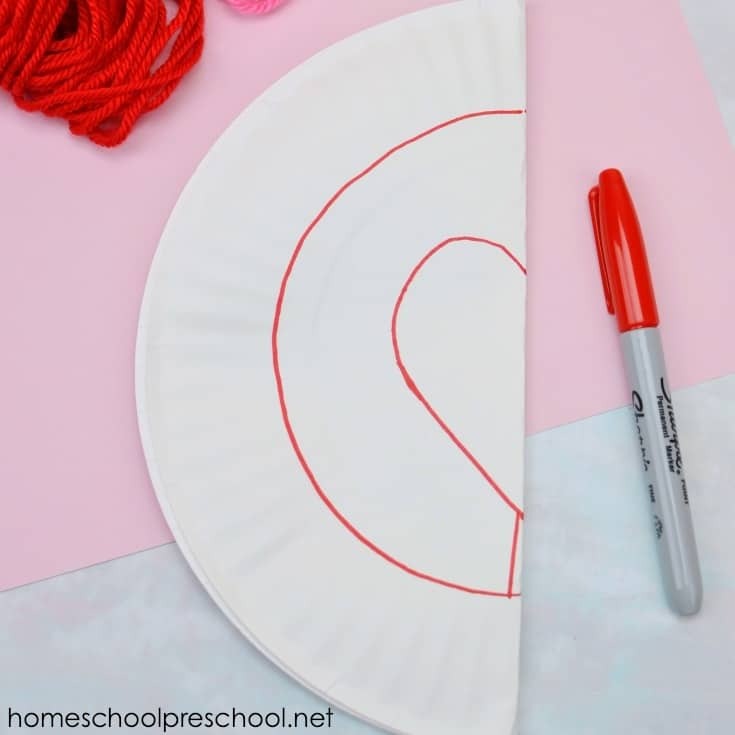 I love this Valentine’s Day paper plate craft for kids. 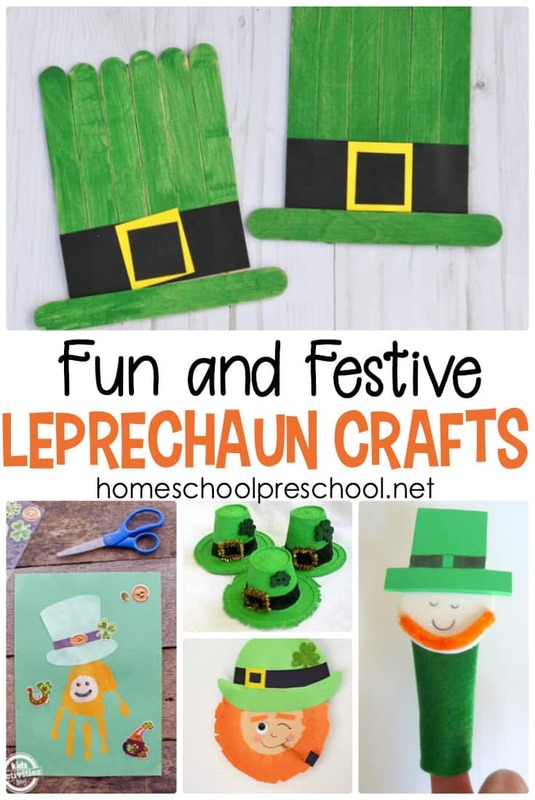 It combines motor skill practice with a fun holiday craft that preschoolers will enjoy. 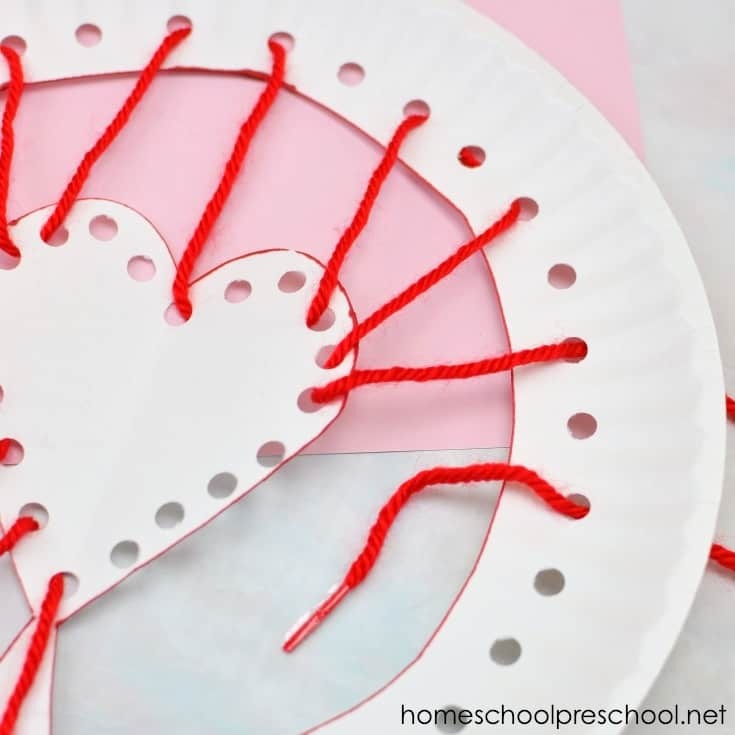 This paper plate craft will work for multiple ages. Older kids can build fine motor muscles as they work with a single hole punch. 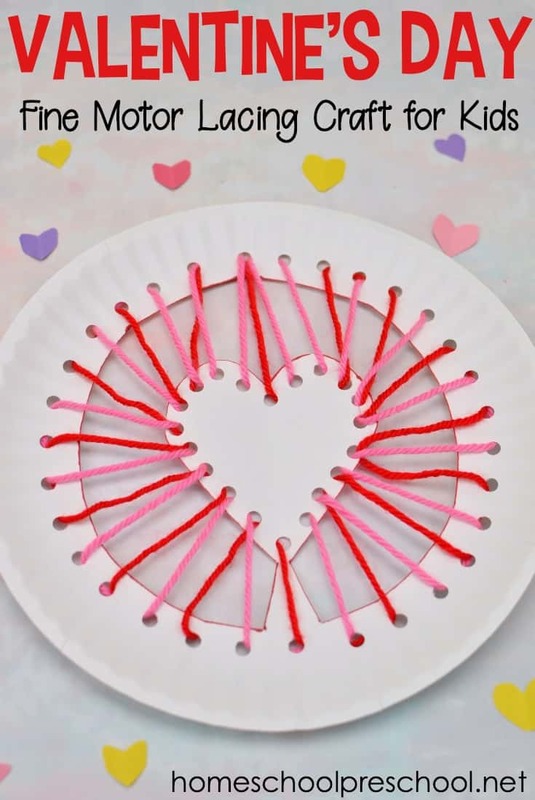 Younger kids may need an adult to punch the holes, but they’ll build motor skills and hand-eye coordination as they lace this craft. One tip… if you’re concerned about the strength of your paper plate, you can purchase a pack of paper reinforcers. This should help make the punched holes a little sturdier for your little ones as they lace the holes with yarn. 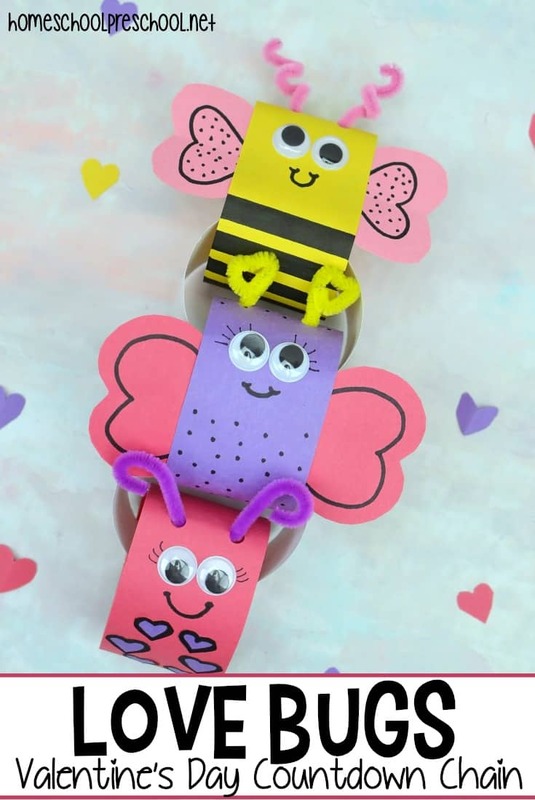 This craft is relatively simple to prep for your little crafters. You’ll need just a few simple supplies and a few minutes. 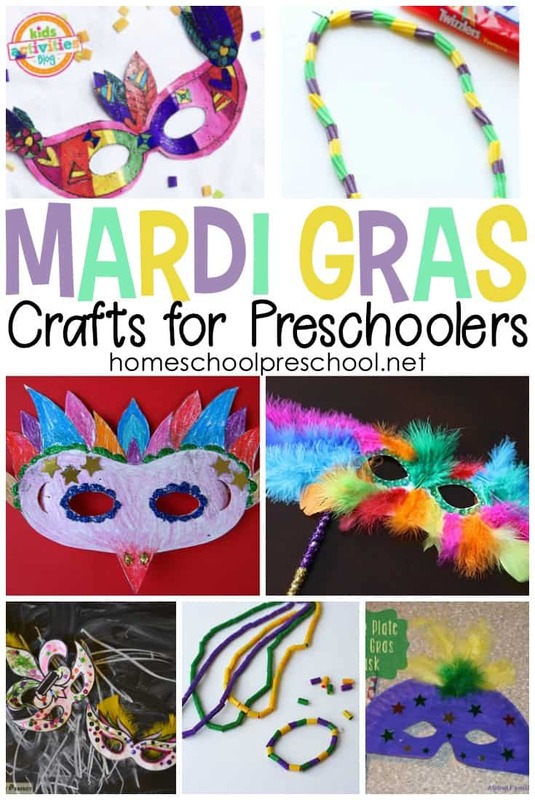 And, you’ll have this paper plate craft ready in no time. Start by folding the paper plate in half. 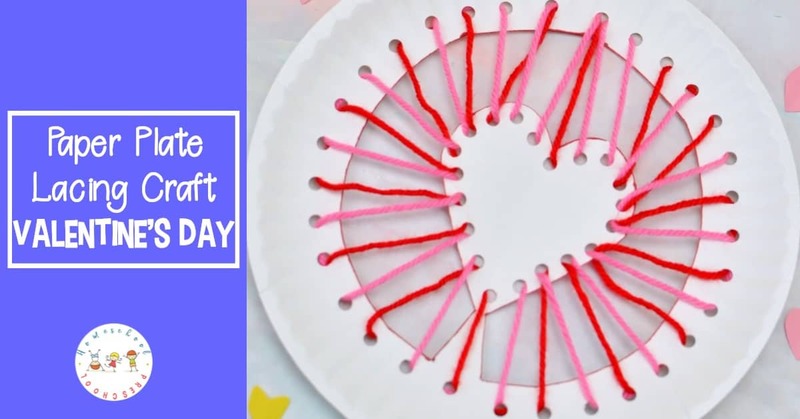 Draw a half of a heart on the fold of the plate and a circle along the border. Make sure you leave the bottom of the heart attached, this will make it easier to keep the laces even all around the plate. Cut out the design. You can trace around the other side of the cut out to make both sides match, if you’d like. Using the hole punch, punch holes all around the border of the plate and the inside heart. Start with the red yarn, weave the yarn from the heart to the boarder all around the plate leaving every other hole along the boarder blank for the pink yarn. Finish the design by weaving the pink yarn from the heart to the boarder using the empty holes. The paper plate heart is now completed. These forest animal printable lacing cards for preschoolers are perfect for practicing fine motor skills or beginning sewing practice. This cute reindeer paper plate craft not only gets kids in the Christmas spirit, but it helps them fine tune their motor skills as they lace the nose. Create this simple paper plate scarecrow for a cute fall craft for kids. With these step-by-step instructions, this scarecrow craft is so easy to make.